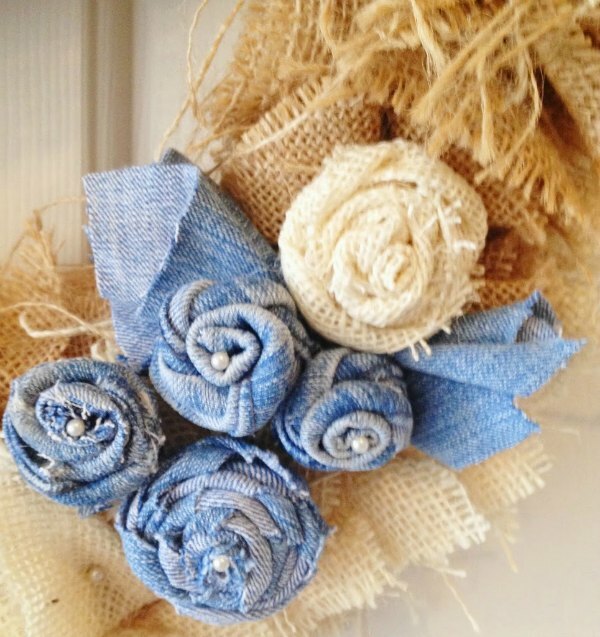 Make a burlap and denim spring wreath by using upcycled materials. I’ve been reworking some of my old wreaths and when I came across this burlap squares wreath, I thought it would be perfect to use for the March Craft Challenge that challenges crafters to make something using an old pair of jeans. The rosettes and the the little bird are made from old, worn out jeans. The wreath is made using a styrofoam wreath form as a base. I cut squares from two different shades of burlap. To make this, fold the square in half and then in half again. Pinch the bottom and hot glue it to the wreath form. I did the outer ring first with the light burlap and followed that with the darker shade. Prepare for a lot of shedding! I made a simple bow from burlap ribbon and hot glued it in place. This wreath had some felt flowers on it and was looking fallish. I wanted to change that up so I removed those flowers and added blue accents. The rosettes are made from old jeans. I made some of them by cutting a circle and then cutting a spiral from the circle. I used the twist and roll method for making these. 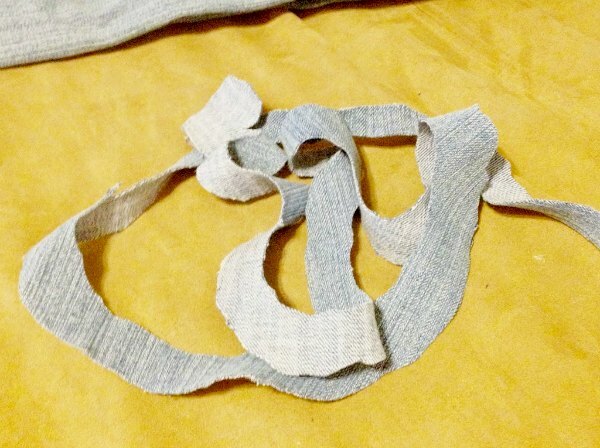 The smaller one is made by cutting the the seam of the pants leg and using the thick, doubled fabric to twist and roll. I added a pearl head pin the center of them all. 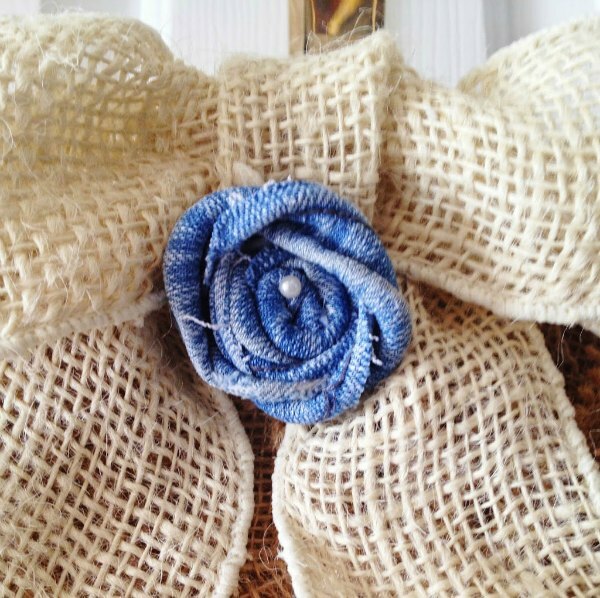 I added one burlap rosette and then used two squares of denim beneath that. I added the denim rosettes on top of and beneath the squares. I also added a rosette to the bow at the top of the wreath. Now, I could have stopped there and called it done, but I had a couple more ideas of how to make this wreath spring worthy. 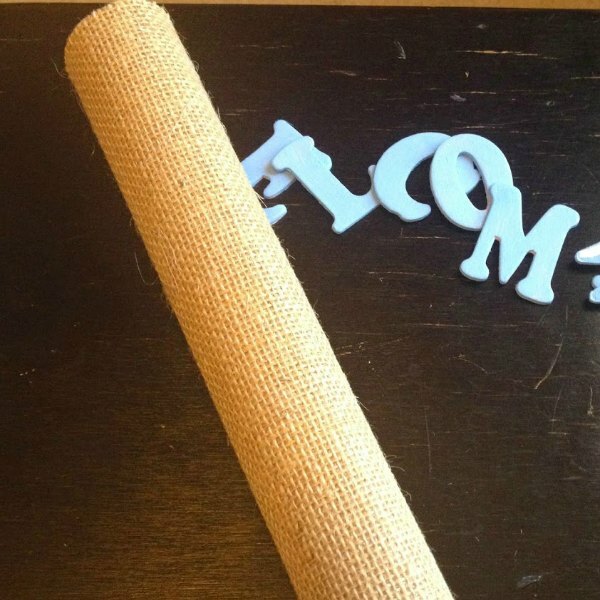 I cut part of a empty wrapping paper roll to size and hot glued a piece of burlap around it. I painted wood letters to spell out “welcome spring” and glued “spring” to the roll. I decided not to use the welcome word on the wreath. It just didn’t fit right. I glued this into the center of the wreath. I wasn’t quite finished. There was one more item that I wanted to make using the old denim. I cut a template that resembled a bird from card stock and used that to cut the denim. I cut both a back and front for the bird. I cut the back pockets from the jeans and used that for the wings. I added cocktail skewers for the legs. They are glued between the front and back of the body. I cut a small beak from yellow felt and used a button for the eye. Then I hot glued it all together and glued it to the wreath. 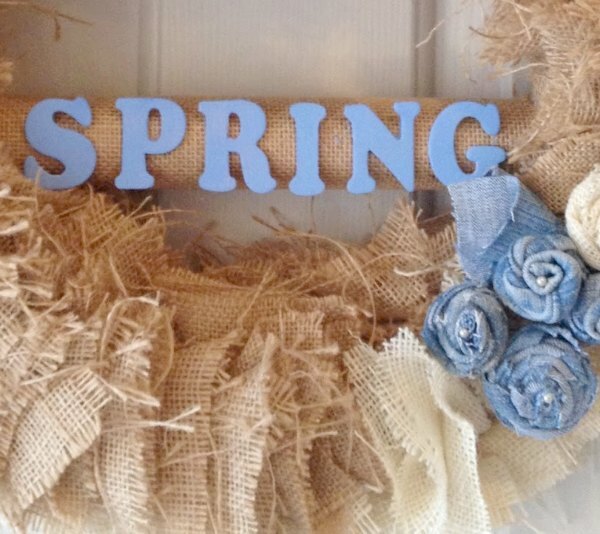 I had fun coming up with a way to meet the denim challenge and I’m pretty happy with how my spring wreath turned out. Isn’t it fun to take something old and unused and turn it into something you love? ooohhh! 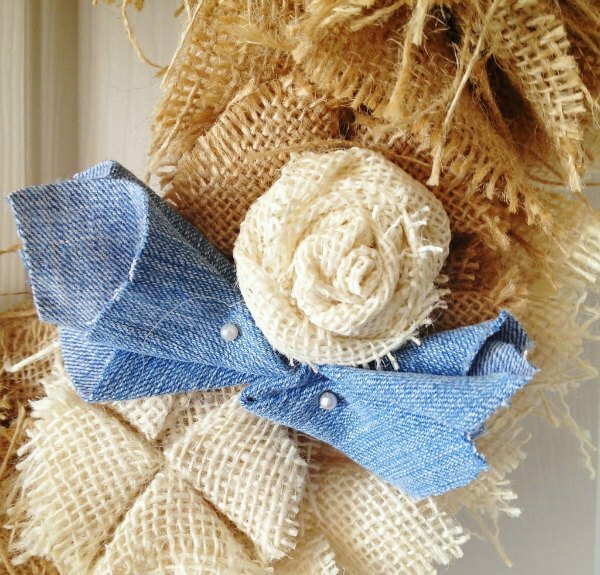 The denim and burlap go so well together! The flowers are fabulous, but my favorite part is the denim bird!! Such a cute way to welcome in Spring! I love the little bird, too. I’m not sure that there is a blue bird with a yellow beak, but I liked the pop of color! Thank you! 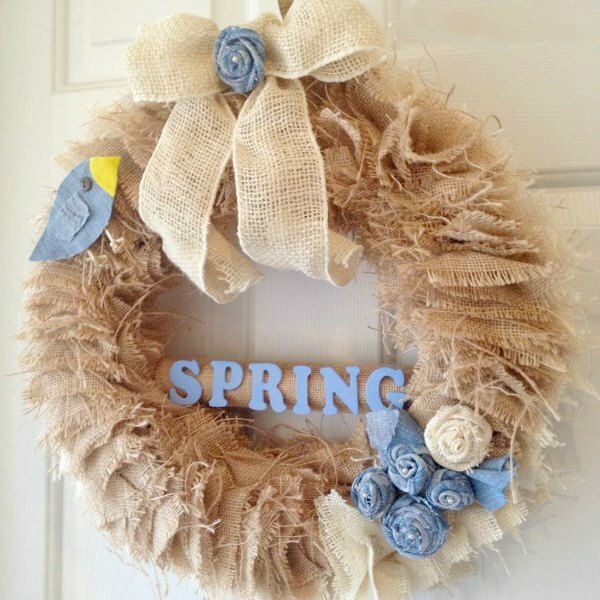 I LOVE this spring wreath that you made. So pretty and just perfect. Thanks for sharing. Thanks so much, Julie! I had fun making it and I’m hoping that spring will be here soon. 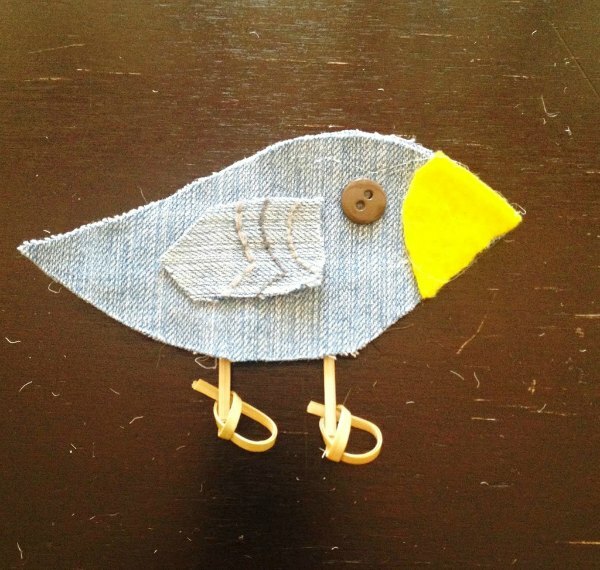 The bird is so cute and creative! 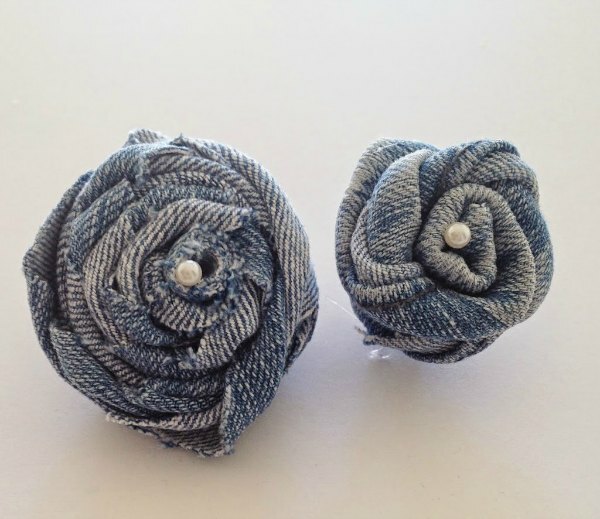 Love the denim rosettes! Such a beautiful wreath, Beverly! Thank you for sharing it with us. Thank you, Robin. It was simple to put it together. 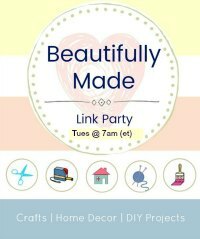 I’m happy to share it on the Craft Challenge. Thank you for coming by. I’m know everyone is so ready for spring! 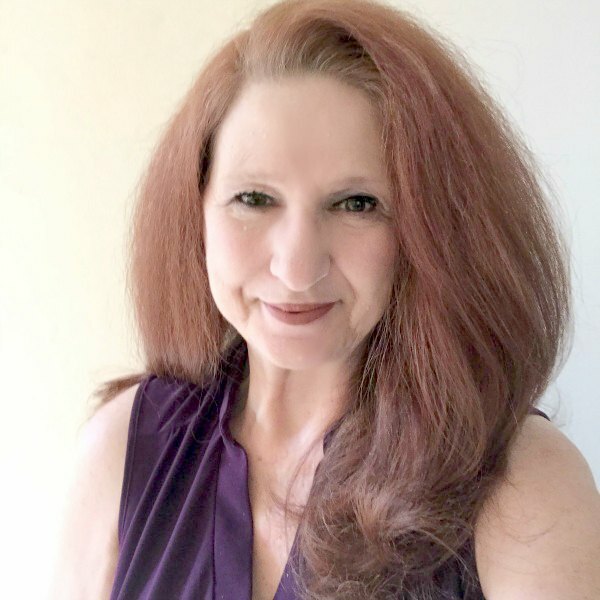 Thanks for coming by and for hosting What to do Weekends! Thank you so much, Stephanie! I’m happy to share at #HomeMattersParty. I’d love to see your wreath when you make it. Thank you for coming by. Thank you, Audra. They were easy to make, too! love the bird and rosettes! awesome wreath and fab upcycle!! Thanks for sharing with our Creative Challenge! Thank you! The bird is my favorite part of the whole thing. Happy to share with Creative Challenge. Thanks for coming by! Congrats Beverly! 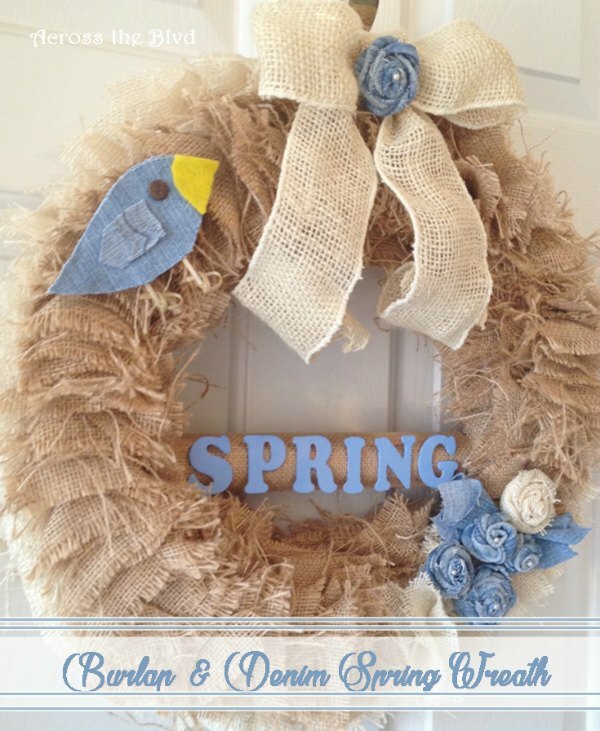 This lovely spring wreath (and little bird) is our hostess favorite this week at the Creative Challenge! Hope you stop by for your special award! Thanks for linking with us! Oh wow, thanks so much! How fun! I’ll be sure to stop by. This is just too cute for words! I’m loving everything about this. May I ask you where you got the burlap? Everywhere I have been it is just too expensive. Thanks! I bought the burlap at JoAnn Fabric and Craft. It’s been a while since I bought it though and I don’t recall its price. But JoAnn’s always has coupons that I use and can usually get good prices there. Very, very pretty! Love that you shared this at Snickerdoodle Sunday- hope to see you again later this week when the next party opens! Thanks so much, Sarah. I’m happy to share at Snickerdoodle Sunday. Thank you for coming by. 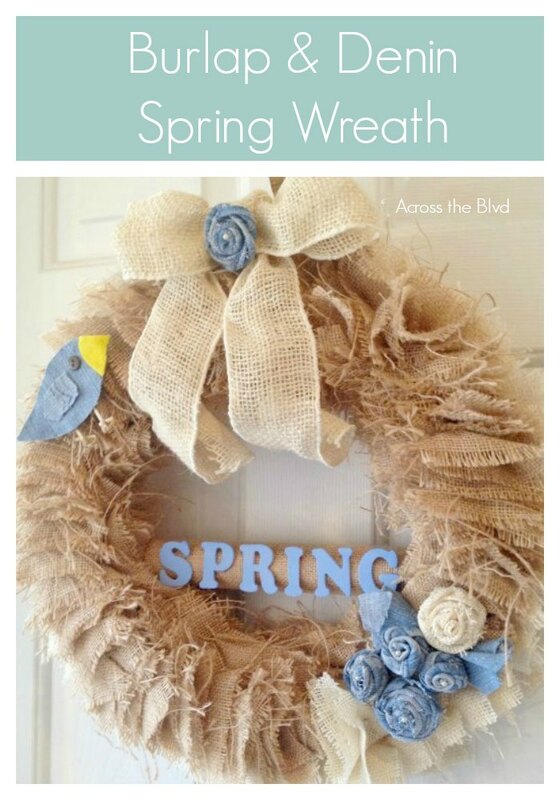 Wonderful spring wreath! The little bird and the flowers are adorable! I love demin projects. Thank you, Ana. It was fun to make. Hope you’re having a wonderful day, as well. Thanks for stopping by! This wreath is adorable!!! Love the denim and burlap. That little birdie puts it over the top! Super cute ladies! Thank you! The little bird is my favorite part. Thank you for coming by. This wreath is sooooo cute! 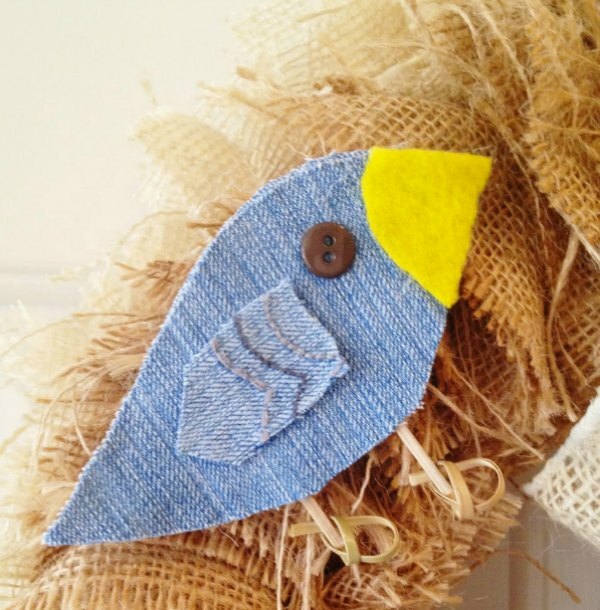 I love the denim bird and rosettes! Pinning! Thank you! Glad you like it. Thanks, too for pinning! That’s so pretty! I’m definitely going to turn my old jeans into flowers! Thank you, Anna. I hope you enjoy making them. They are really easy to make. This is an awesome wreath. It looks great! 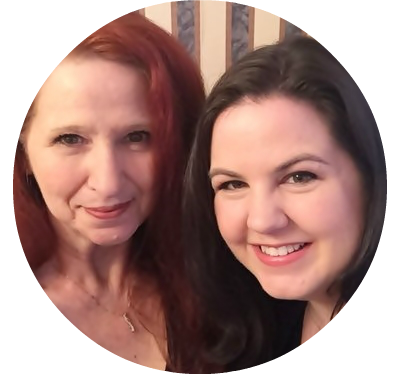 Thanks for linking up to Funtastic Friday and sharing with us. Hope to see you again this week. Thank you, Sherry. Happy to share on Funtastic Friday. I’m glad I found your party! Thanks for coming by! Amazing and I love it! Thank you very much, Suzie! Hi Alison, thank you! Those roses are so easy to make! This is so pretty! I love how you did the rosettes! Pinning for later! Thanks, Kim! Those rosettes are super easy to make. Thanks for pinning!